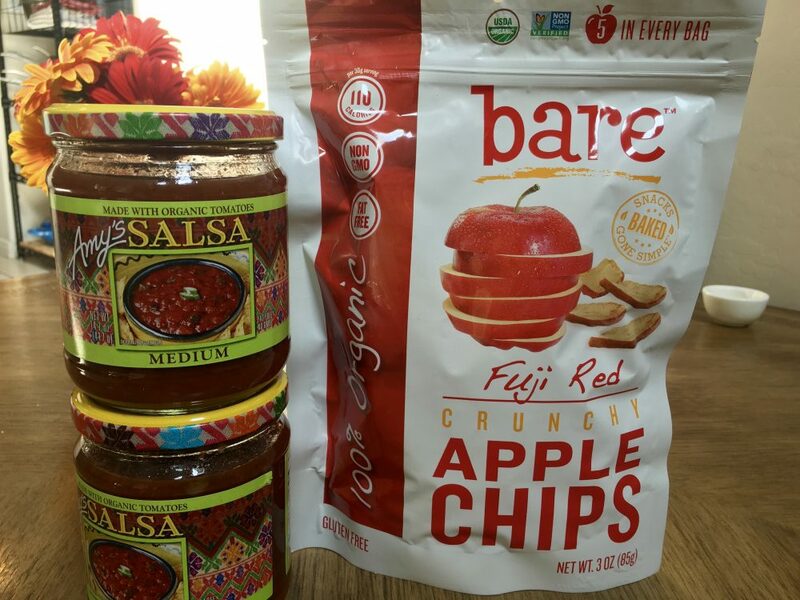 Try apple chips with salsa instead of corn chips. We don’t keep chips in the house, at least not the common kind. And for crackers, we don’t usually eat those unless they’re flax crackers like these. But, we love us some salsa. What could we dip into salsa? My daughter had a great idea!